Home Security now has a Remote Control. Panasonic Monitors are available in a 5", 7" Monitors and Wireless Handset. 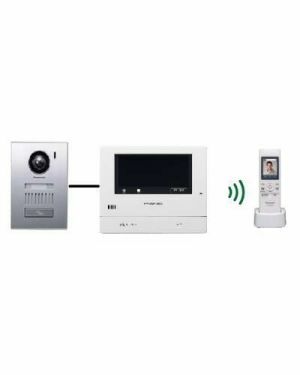 Panasonic intercoms are fantastic for screening visitors before you invite them into your home, and can allow you to deny any unsavory characters quickly and easily with minimal confrontation. The Picture Memory function, works by taking an image of your guest at your door station and displays on your internal monitor until you clear the image. This system provides an additional layer of security to your home. Alternatively, if your visitor is a friend or family member who you were expecting and you are happy to let them inside, you can even electronically unlock the door using the intuitive touch screen display.